We are humbled and honored to have been featured in the December 2016 issue of Music Trades Magazine. 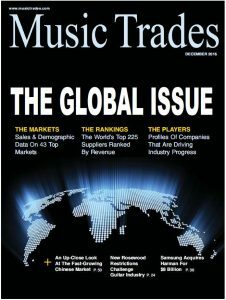 Music Trades is the music industry’s leading insider publication for all musical merchandise companies in the world, and has been published without interruption since 1890. For the full article, please click HERE. We feel it is imperative you share this information with your church committees as you look deep into the reasons you are selecting the organ manufacturer to build your church’s next organ. After all, it’s only the long-term viability and success of your music ministry we’re talking about. That’s not something we at Viscount take lightly, and it’s the reason we felt the need to make the investment into the future with Physis® Technology. This investment wasn’t for Viscount. It was for you.